SEOUL -- Instead of Pyongyang, the two Koreas can select a different place for the third summit between their leaders if North Korea wants to do so at high-level talks next week, the South's presidential office said Friday. The two sides would discuss preparations for the third inter-Korean summit and other issues when they hold a high-level meeting Monday in the truce village of Panmunjom. At their first summit in Panmunjom in April, South Korean President Moon Jae-in and North Korean leader Kim Jong-un agreed to meet again in Pyongyang this fall. 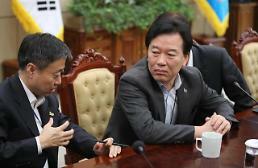 "However, it cannot be seen as a fixed issue," presidential spokesman Kim Eui-kyeom told reporters. 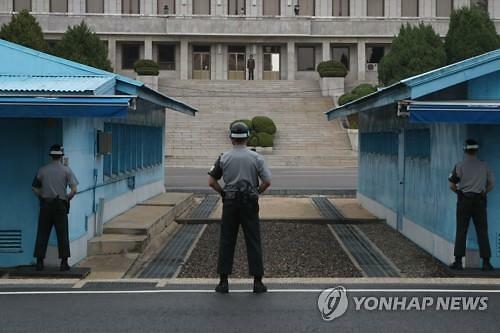 The third summit is a key issue to be discussed at next week's high-level talks in Panmunjom, the spokesman said, adding Seoul would remain flexible on the venue for the next inter-Korean summit. "We may know what other places North Korea prefers." 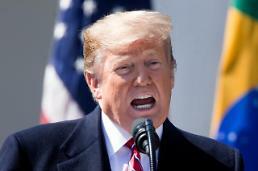 The spokesman urged Washington to enhance trust with Pyongyang by taking reciprocal measures in response to North Korea's peace overtures that included the suspension of missile and nuclear tests, the shutdown of a nuclear test site and the dismantlement of key facilities at its base for intercontinental ballistic missiles and engine testing. "The United States should also take appropriate steps to enhance mutual trust in response to denuclearization measures North Korea is taking," Kim Eui-kyeom said. "We hope the two sides will make active efforts to ensure that measures for denuclearization and peace on the Korean peninsula will be taken in a virtuous cycle." At talks in April, South and North Korean leaders agreed to work on ending the status of war, stop all hostile acts against each other and replace a fragile armistice signed at the end of the 1950-53 Korean War with a lasting peace regime. 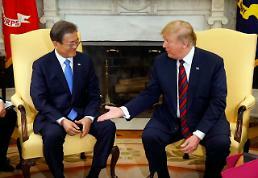 In Singapore in June, U.S. and North Korean leaders agreed to forge a lasting peace regime which would rid the Korean peninsula of a second war or potential armed and nuclear conflicts. In return, Pyongyang promised to achieve complete denuclearization. 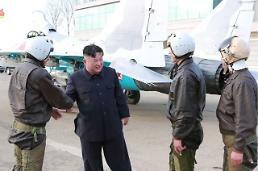 However, progress has been slow in negotiations between U.S. and North Korean officials. Washington wants quick and tangible steps to achieve denuclearization while Pyongyang insists on a gradual and synchronous approach. Signing a peace treaty has been a key subject at inter-Korean talks because North Korea wants a non-aggression accord with the United States to ensure the security of its regime. 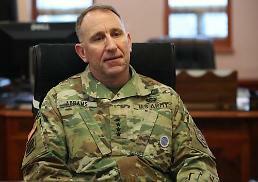 Some 28,000 U.S. troops have been stationed in South Korea under a mutual pact.